This post will inaugurate a new feature on the 1912 Villisca Axe Murder Mystery Blog. 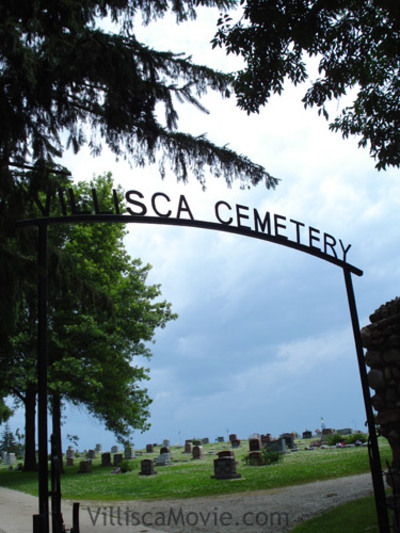 The Virtual Villisca Cemetery will provide readers with an opportunity to visit this beautiful spot in Southwest Iowa from afar, and a chance to read the fascinating stories behind people directly and indirectly involved in the Villisca Axe murder mystery. We offer a special thank you to Dr Edgar V. Epperly for penning these articles and for sharing a small portion of his prodigious knowledge on this topic. Having studied the crime since 1955, Ed is the foremost historical authority on the notorious and still-unsolved Villisca crime. To view only the entries on this topic, select Virtual Villisca Cemetery from the "Categories" list on the right. We look forward to receiving your comments and questions regarding this fascinating new addition to our blog. I am planing a trip to the Villisca house soon and I would like to know when you first enter the cemetery...which ways do you turn to get to the Moore plots.